These Pizza Stuffed Rolls make for a tasty dinner, appetizer or side dish. Each roll consists of light and warm bread stuffed with mozzarella. 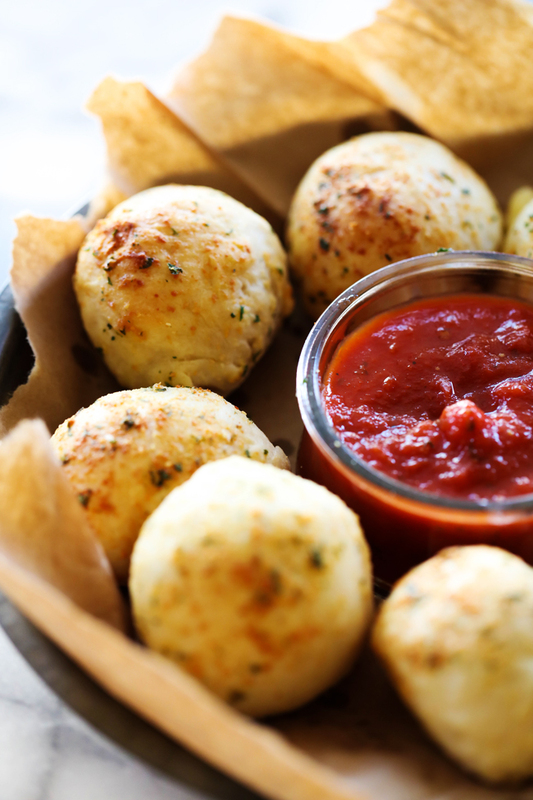 These rolls are cheesy and so good dipped in marinara sauce. I love recipes that can be used for a variety of occasions. 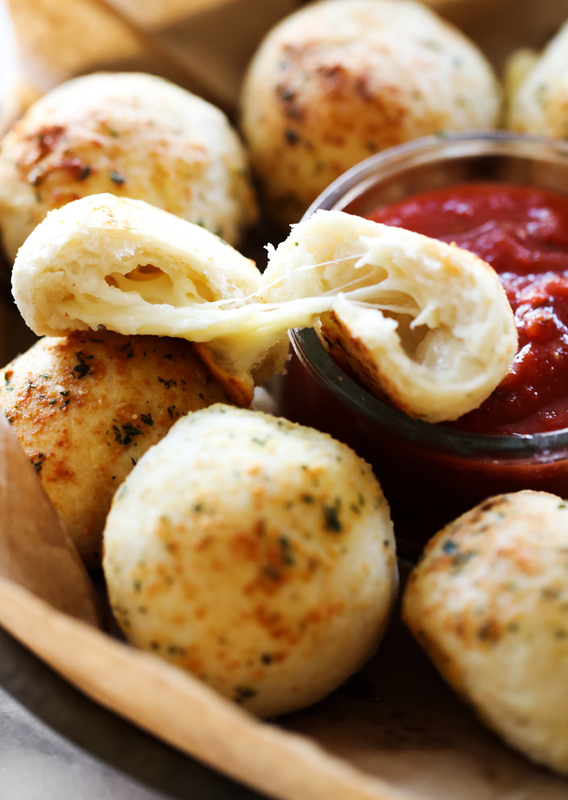 These Pizza Stuffed Rolls are incredibly delicious. My entire family LOVED them. The gooey cheese when you split apart or bite into each roll is my favorite part. You definitely need to put this recipe on the menu! My kids could not stop raving about them, which when that happens- I know the recipe is a winner! These are perfect for any occasion and work great as an appetizer, main dish or side dish. Mix warm water and yeast and let sit 5 minutes until yeast proofs and bubbles. Add ½ of the flour with proofed yeast and mix well. Add the rest of the flour and salt and knead until smooth. Cover bowl with saran wrap. Let dough rest in a ball for 10 to 20 minutes. In small bowl melt butter. Add garlic powder and parsley and mix with a whisk. Spread Parmesan cheese in a dish and set aside. Remove dough from bowl and add more flour as needed to alleviate the stickiness. 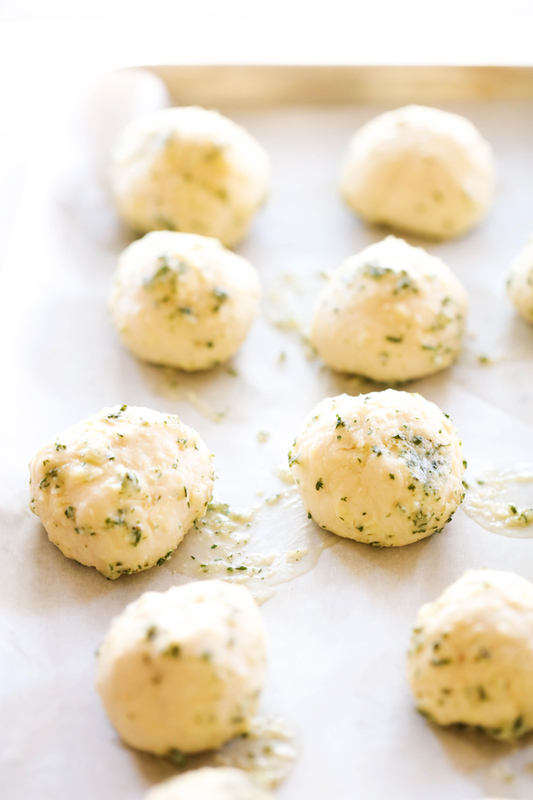 Cut dough into 1-inch balls. Flatten dough into small disks and wrap around ½-inch mozzarella cheese cubes. Roll balls in the melted butter mixture. Then roll in the Parmesan. Place balls on cookie sheet and bake for about 10 to 12 minutes. Brush with melted butter and serve with marinara sauce.